Jude Acers at World Naked Bike Ride 2016 from K&D Photo + Video on Vimeo. 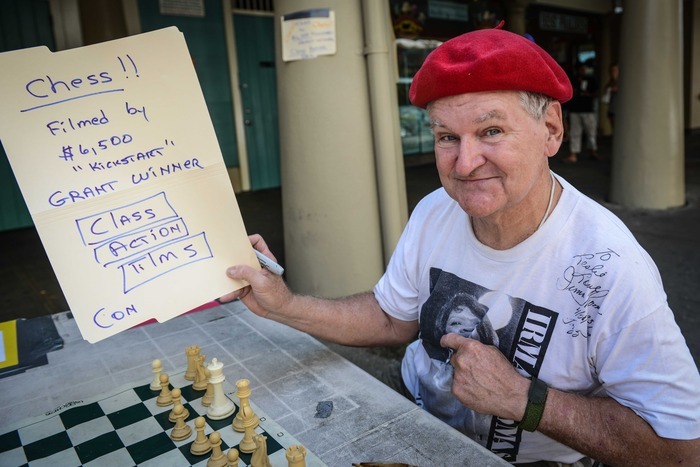 Below are the names of the 100 101 102 103 105 Backers (checks still welcome to help with equipment upgrades, just email dsbnola[at]gmail[dot]com) who have pledged $7,254 of support for The Man in the Red Beret, a documentary about Jude Acers by Class Action Films. 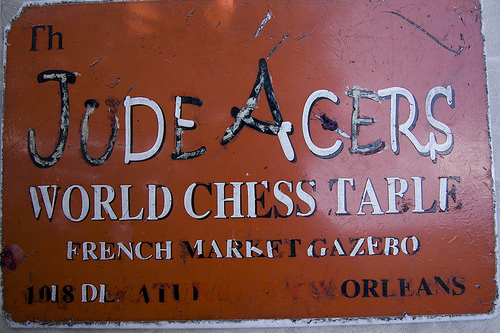 These 100 Backers have made it possible for us to follow Jude to Croatia next month for the FIDE World Senior Chess Championship and we’re now collecting funds for equipment upgrades. Thank you to new Backers, returning Backers, and for all the Backers who couldn’t afford to pledge but still helped promote our Kickstarter campaign.